We're on our way to Africa!! Wanna hear a REALLY cool story??!! Ok, so I will do my best while I am here to post some of the highlights of our day. There so much, so I will do my best narrowing it down. We are 8 hours ahead of FL here. We arrived late Saturday night, exhausted and pretty much ready for bed. We are staying at the Ethiopian Guest House, run by Mike, who has also brought a team from his church in TX here this week. It feels like the lap of luxury compared to our surroundings. We feel blessed to stay here. I’m not getting much sleep but it’s not because of the accommodations—they are wonderful. The staff is so friendly and fun to get to know. We attended church at Beza—it was awesome. It was an English speaking service. The pastor from their sister church in TX was here—he spoke briefly about the outreach efforts in the states. (He mentioned Acts 29, so we’re still trying to figure out that connection.) The sermon was preached by a Pastor Carlson, visiting from Wheaton Christian Center in Wheaton, IL. This struck me as funny, since my brother in law is a pastor in Wheaton…and I came all the way to Africa to hear a pastor from Wheaton. The message was great—all about the effect of praise and how God can use it to impact others with the gospel. After New York syle pizza for lunch, we headed to Etobo Mountain. This is an HIV/AIDS colony. There are over 3,000 who live there. With the virus, they are considered outcasts, so they all live together on this mountain. There is a fountain there that some believe have healing properties. It is quite a difference to even contrast being in the heart of the city and being on the mountain. Even more back in time. We visited their little shop, there Tamara sells jewelry that the ladies have made out of coffee beans. Tamara’s program equips them to earn an income, giving hope to people who see their disease as a death sentence, which of course we know, it isn’t. The program also offers meds and children’s activities. We split up, and some of us went to homes, and the rest of us got out a parachute to play with the kids. It was a blast—the kids loved it. Part of me was disappointed to not go visit a home, but the Lord provided a neat opportunity, through Hannah. A little girl, about 2 years old, attached herself to Hannah while we were playing. She dragged her to her home, and her mom invited us in. It was such a honor. I grabbed Nathan and our friend Tacabe to translate. Blinne’s mom’s name was Marta. She offered for us to sit on the mattresses in her 10 by 10 room. She asked if she could prepare tea for us. All I could think of, as I accepted and watched her prepare the fire, was how few matches she had and how willing she was use one for us. I did not see any food. We chatted a little, and I asked her if she had heard of Martha in the Bible. I told her that her hospitality reminded me of Martha’s. She said she had been living there for 10 years. We were interrupted and told our group had to leave, and we had to go before tea was done. I felt horrible. I did not even have a gift to offer her. Once I was back at the van, Erica gave me a box of Ritz bitz she had in her bag, and we took it back to Marta. She had tears in her eyes as she accepted them. Hannah tears up every time she thinks of little Blinne. We saw one toy rubber ball in the house. So little. The kids and I are still processing the extremes we are experiencing. I wish I cold say we have resolved it all in our hearts, but we haven’t. We are just praying that we will see people as Jesus sees them, with His eyes, and that they would see Jesus in us and we would be ready to share our hope in Him. We have been supported, encouraged, prayed over, and now officially SENT on our Reckless Abandon mission trip to Ethiopia!! As I type, I am sitting in the Amsterdam airport, waiting to board our final plane to Africa. So far, so good. Already we have seen God's hand of favor, and we're not even in Africa yet! The kids are doing great and enjoying the adventure of traveling out of the country. It's sinking in...when we arrive it will be almost 11pm in Ethiopia, so it may not be until morning that I really begin to grasp our surroundings. Please pray--for our team, for my kiddoes, for continued good health, and ultimately, for the Lord to be glorified through it all. I'll be back on as soon as I can! Ok, so about 4 months ago we announced to our family and friends that we were going to adopt from Ethiopia. You can read that post here. Our family knows our heart, and I don't think anyone was overly surprised by our decision. Except one couple. 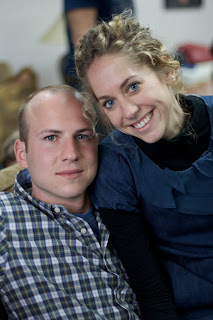 My nephew Dan and his wife Julia live in California. We hadn't seen them in several years. While we knew their heart's desire for children, we had no idea....that back in March of last year, they begin to consider adopting. 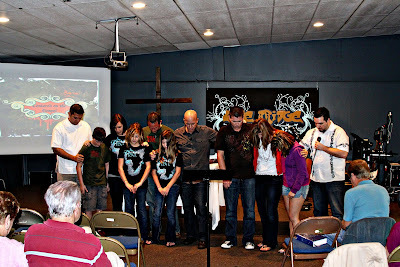 And as they prayed, God kept leading them to Ethiopia. 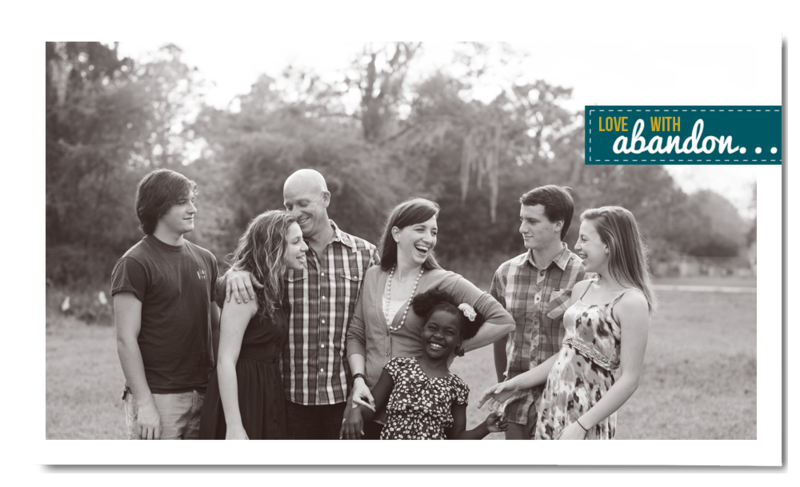 As the months went by, they felt the Lord leading them more and more down a path of adoption. Julia began to look for videos on you tube, blogs--any info she could find to help determine where and how the Lord might lead them. Then, one day, they got our link in an email announcing our news to the family. They read our blog. And they FLIPPED. I know you think you know now why this is a cool story--but you don't know the half of it yet! So--yes, God was in fact, leading two couples in this Walser family to adopt from Ethiopia! Completely independent of each other, we had begun to move down this path at the same time!! Amazing!!! But this is the really fun part. So, as they are reading our post about our decision, they see me mention our friends the Shubins, who adopted Silas a couple of years ago from Ethiopia. Julia couldn't believe it. Back in March, when she first began surfing the web for info on adoption, she went to you tube. the FIRST adoption video she ever watched was the Shubins Gotcha video--the day they brought home Silas!!! When they saw Silas's picture on my blog, they recognized him immediately. How amazing is that??!! That was 4 months before we even MET the Shubins!! It's amazing how God would use this special family to impact two different sets of Walsers on opposite sides of the country and stir our hearts to adopt, and to adopt from Ethiopia!!!! IS ANYONE ELSE AS EXCITED AS I AM ABOUT THIS??!! So long story short, Dan and Julia are in process with All God's Children. Our prayer? That somehow, miraculously, we just might be able to go get our kiddos at the same time!! Hey--miracles can happen! Pray with us!! 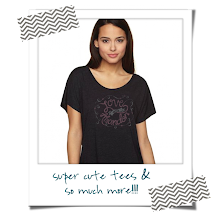 Go stop by their blog and say hello. They are truly two of my favorite people in the whole world. We got to spend some time together between Christmas and New Years, and I feel our hearts so knit together in this endeavor. Just when we think God has big plans, we realize we had no idea just how big! His ways are so infinately higher than our own!! ----Oh, and Nathan and Hannah and I leave in 11 days for our mission trip to Ethiopia!!! 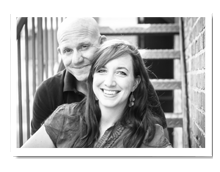 Stop by our blog and pray for us! WE'RE GOING TO AFRICA!!!! WHOOT WHOOT!